The UK economy has become somewhat “dicey” shall we say in recent years and this has resulted in a somewhat disturbing surge of redundancies and company closures. The other side of this coin however is that there has been a significant increase in the numbers of people choosing to work for themselves. Many people have turned to self-employment to replace a lost job or to perhaps take control of their future so that they don’t find themselves in the same precarious position as their former colleagues and their friends. Many people choose sales for their new business enterprise and whether this is a small shop for selling a limited amount of items or is something on a larger scale ClimbDigital are on hand to help. Regardless of whether you already have an ecommerce website or not we are still able to help you by editing templates and coding to make it more user-friendly and can still work our SEO magic. Should you need a new website building we can of course do this too and integrate SEO wizardry as we go along. It doesn’t matter what stage your website is at, if you feel that you need SEO or design aid we are able to come up with a solution for you. 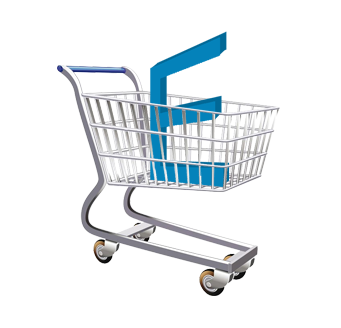 Ecommerce is a popular choice with many new businesses deciding to join the retail sector every year. Of course this also means that competition is stiff. It doesn’t matter if you have the best and most affordable products, the best looking website or the best dressed shop window; if your website is not visible online then your growth will be slow to say the least and your traffic negligible. If you want to elbow your way past the fierce competition, and there quite are a few ecommerce ventures on the World Wide Web, then your website needs to have it all basically (no pressure!). You need to have fabulous products, which we are sure you already have sorted, a great looking website that grabs the attention and encourages the visitor to engage with it, social media links, some very nifty SEO and of course your own skills and experience to get you where you wish to go. The web design and SEO parts we are most definitely able to help you with! When we are creating an online shop for you we will ensure that you get the full onsite SEO for each individual item, which makes it easier for potential customers to find what you are selling and of course increases sales. This is a great way to get your products “out there”, especially if your items are a little different. There are many different ways to sell products online and we are also well placed to help with EBay, Amazon and Google Shopping submissions. Uploading items is fairly simple on these platforms, especially once you’ve done a few of them however it take a different skill set to ensure that they are easy to find for those who are generally browsing and not looking specifically at your eBay (etc) shop. For businesses that are also looking to gain product reviews we are able to show you the best places to send your customers so that you are able to get the full benefits of online reviewing. Many internet shoppers consult buyer reviews before paying out themselves therefore this is an important tool. If you have decided that ecommerce is for you and that you need some help getting your website up to spec and your items noticed then get in touch as we are perfectly placed to help you get your business off the ground or increase the traffic and sales for more established stores.